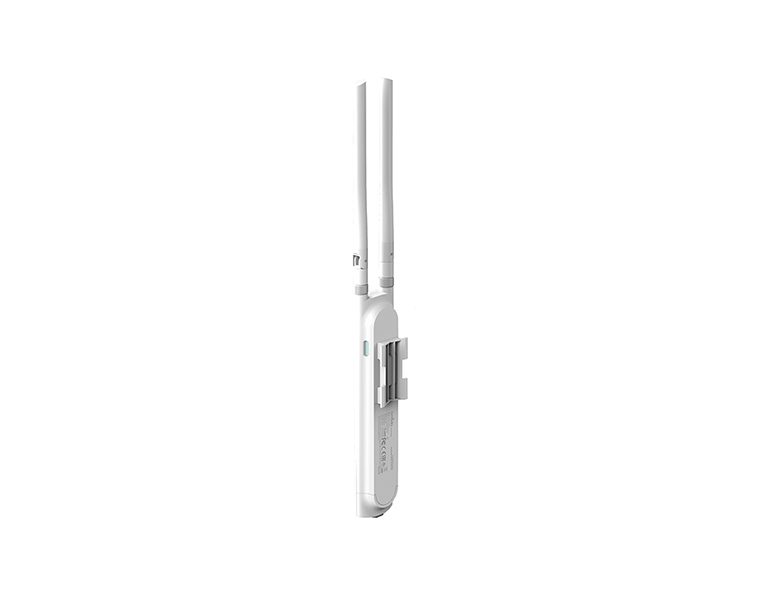 EAP225-Outdoor is designed with 2 Omni-directional detachable antennas, which means other antennas can also be attached for your specific demands. 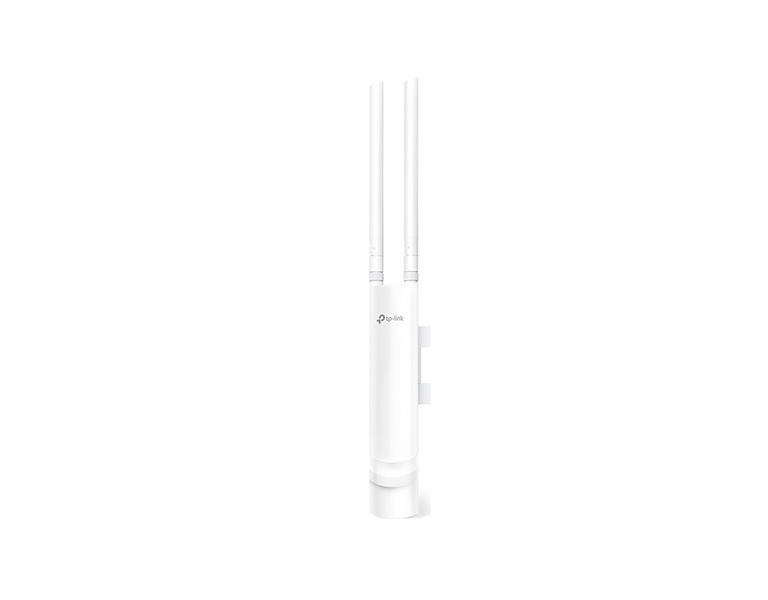 EAP225-Outdoor is just similar to a cellphone, with dimension: 215 x 46 x 27mm. 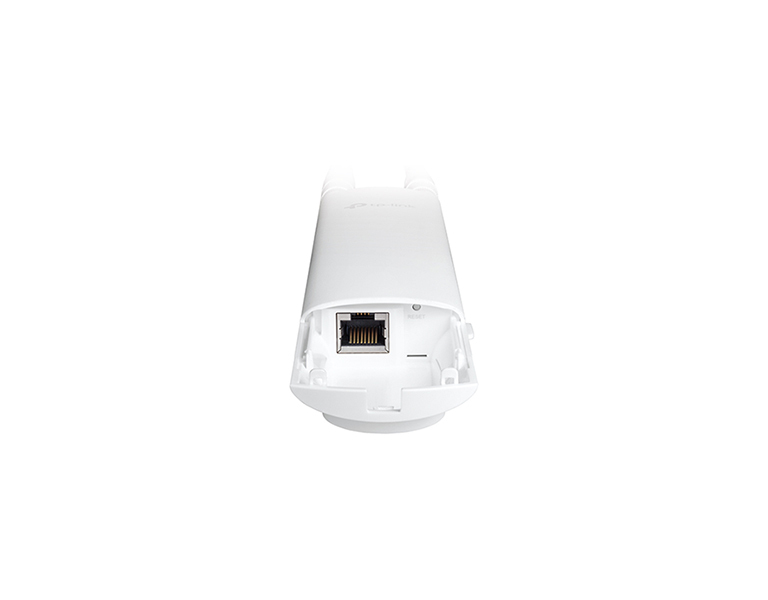 EAP225-Outdoor supports both 802.3af PoE and Passive PoE power supply, can be either powered by a PoE switch or the provided PoE adapter. 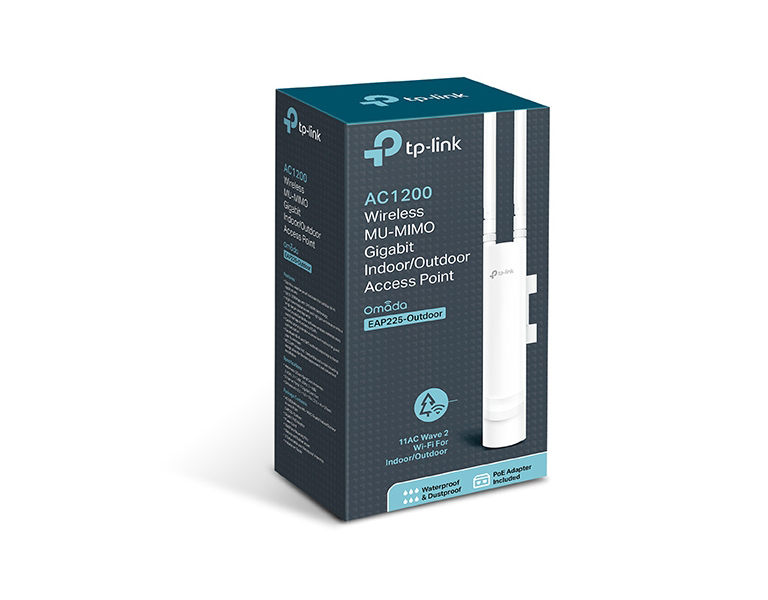 EAP225-Outdoor can be easily installed on a wall or to a pole with the mounting kits provided. *Based on field tests. Real transmission range may vary, according to environment, receiving device, etc. With Omada Controller software, small and medium-sized businesses can take command of hundreds of indoor and outdoor access points all from a single location. It’s network management as it should be - efficient and intuitive. Προσοχή! Bάσει της ισχύουσας Ελληνικής Νομοθεσίας, του Ε.Κ.Κ.Ζ.Σ. και των όσων προβλέπει το Π.Δ. 98/2017 η νόμιμη χρήση του προϊόντος αυτού στις ζώνες συχνοτήτων 5150 – 5250MHz και 5250 – 5350MHz προβλέπει μέγιστη ισχύ εκπομπής τα 200 mW e.i.r.p.